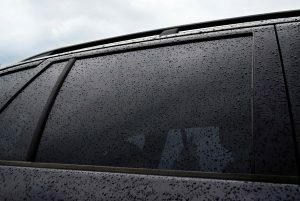 There is a market for both residential and commercial window tinting for autos, homes, and businesses. A tinting business can potentially be profitable and provide an excellent part-time or full-time income. A window tinting business can be a small operation, or expand to a large company. When choosing a name for your window tinting business, try to pick a business name that is easy for your customers to spell and remember. You may want to use your name such as “Jeremy’s Window Tinting”, or you could use your location in your business name such as “East Coast Tinting”. It can be tough to come up with a creative name for your window tinting company. You will want your business name to stand out from other window tinting businesses in the area. A tagline connected with your business can help with this. You could use a more general tinting business name, and then add a descriptive tagline to further describe your services. You may want to specialize only auto window tinting. Some examples of helpful taglines are: “Your Auto Window Tinting Specialist” or “Vehicle Window Tinting Pro” . Below is a list of some name ideas to help inspire you in choosing a name for your own window tinting business. Some of these names are used by actual businesses, so make sure you research the tinting services in your area to make sure the name you choose is not trademarked or already being used. Researching other window tinting company names is an important step before you start the business registration process and order your marketing materials.